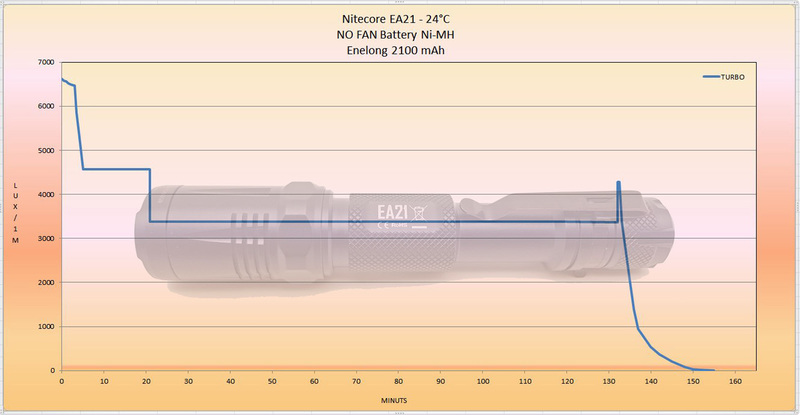 The Nitecore EA21 was sent to me by Nitecore for the review. 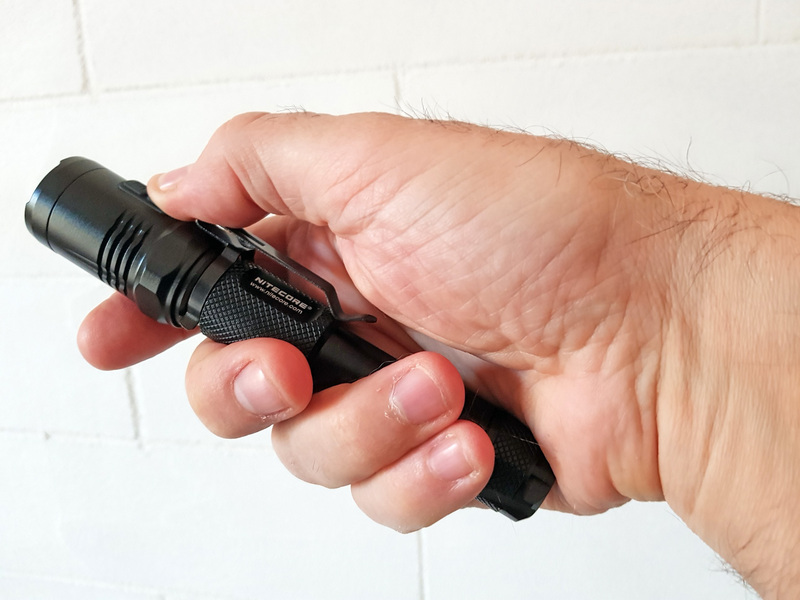 The Nitecore EA21 of the "Explorer" series by Nitecore, has been on the market for some years but still represents a valid alternative for those looking for a travel EDC torch or for off-road explorations. 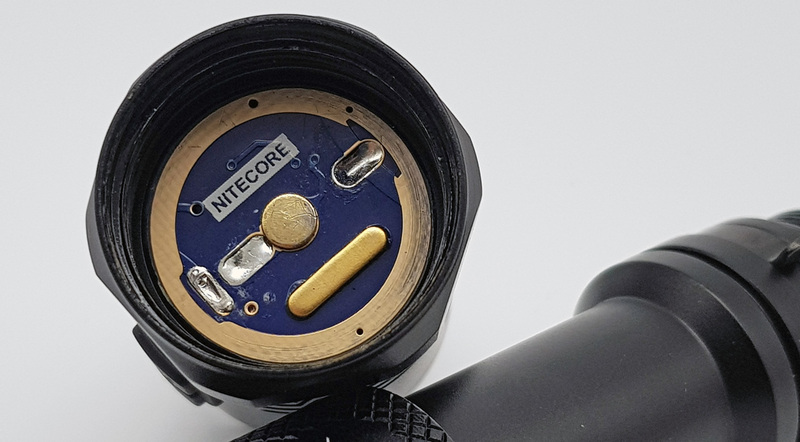 The Nitecore EA21 can be powered by two AA alkaline batteries or two rechargeable AA Ni-MH batteries such as the known Eneloop. 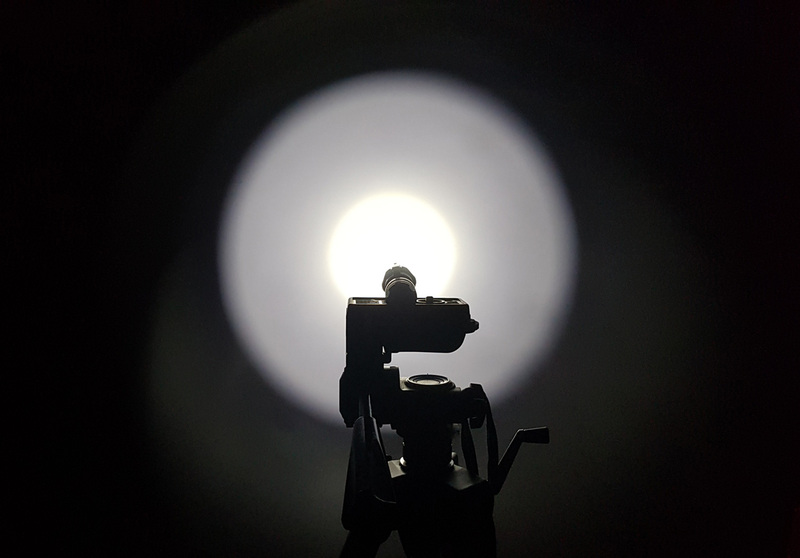 It is equipped with a CREE XP-G2 LED that allows it to have a good shot and theoretically reach 167 meters with 7000cd. 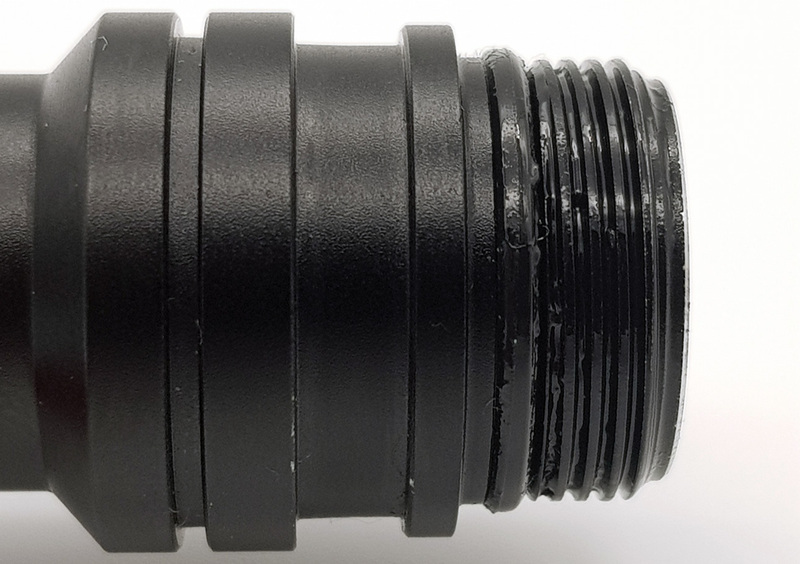 The torch has IPX8 water protection rating. It is also equipped with a small red LED with direct access. The two buttons, which is equipped, allow direct access to the Turbo and Ultra-low. The Nitecore EC22 is sold in a yellow / black cardboard box. The main features are described on the four sides of the box. The "promise" of 5 years is indicated at the top. 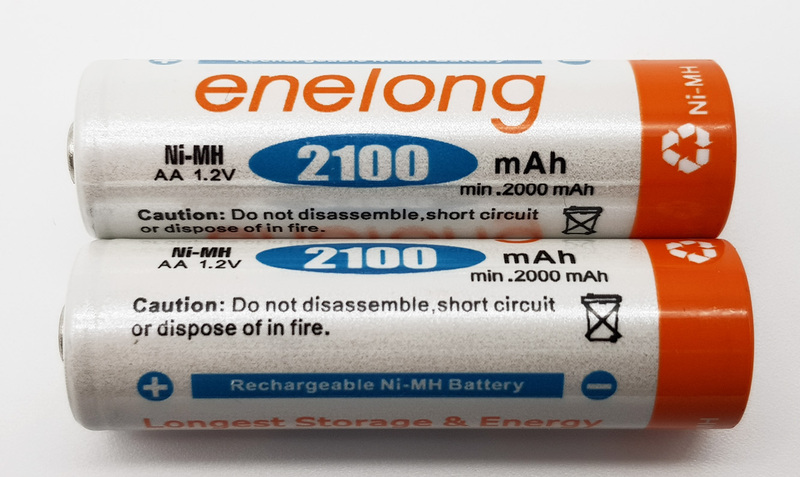 Together with Nitecore EA21 Nitecore sent me 8 Ni-MH AA Enelong branded 2100 mAh batteries. These batteries will be used for runtime testing. 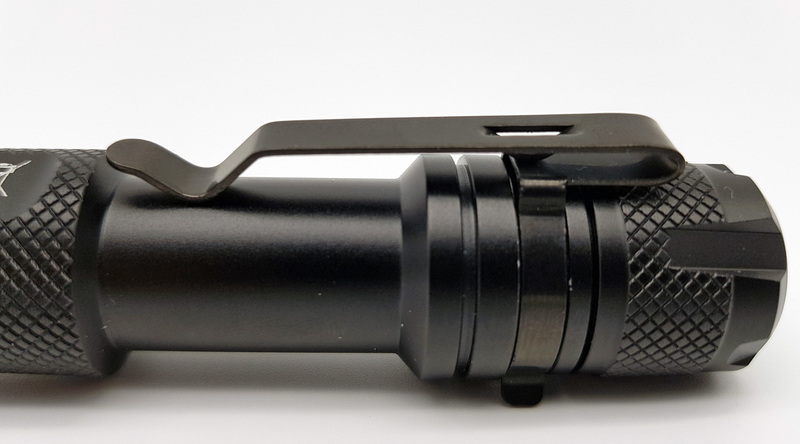 The holster supplied with the Nitecore EA21 is the classic case that we also find in other Nitecore torches. 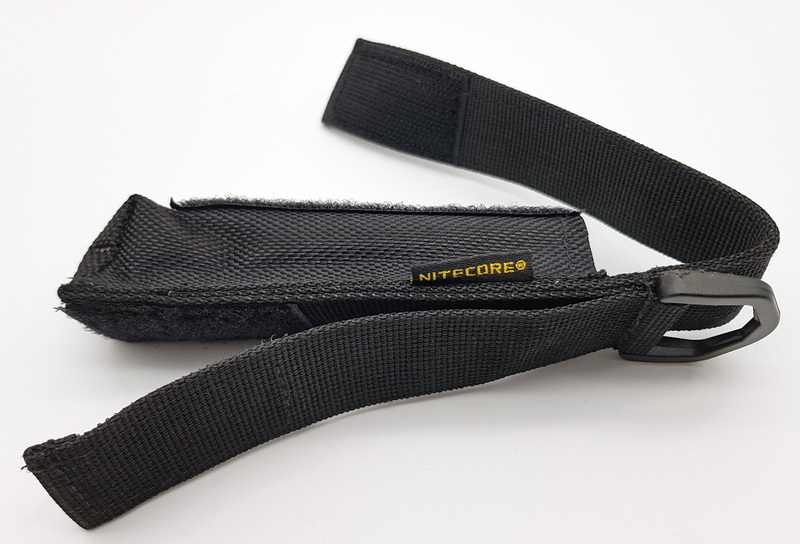 It is cordura with non-elasticated sides and a velcro closure with a plastic D-ring at the top and a double loop at the center in the middle, one of which with a velcro closure. The Nitecore EA21 inserted in the case remains firm. 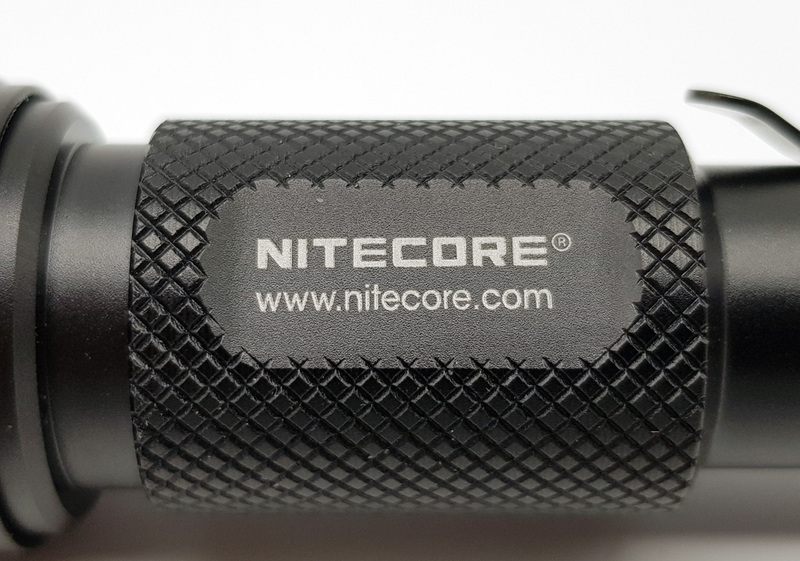 The clip supplied with the Nitecore EA21 is made of stainless steel, coated with titanium. It has a good seal and can be inserted in two different positions. 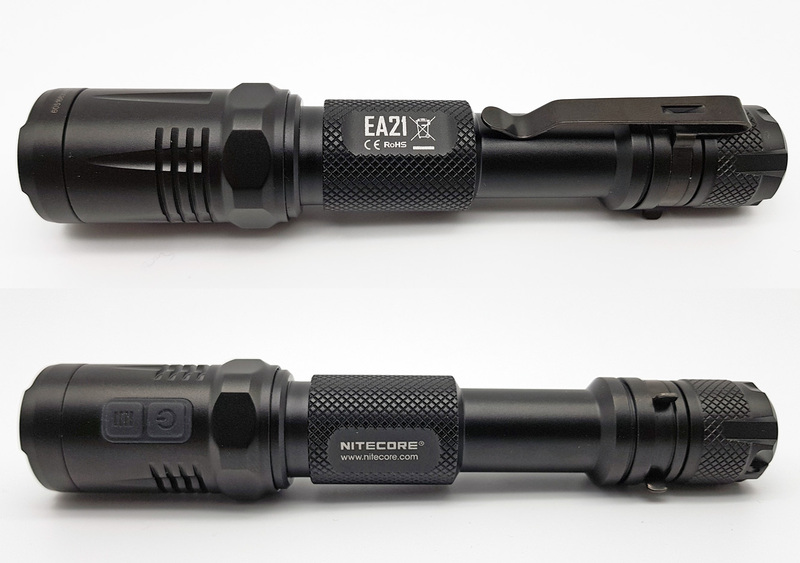 The Nitecore EA21 has small dimensions and handles well, even if in length it reaches the size of a 18650 torch. In the dark we have no difficulty finding the two power buttons as these are slightly raised above the head even if they are of size slightly small. 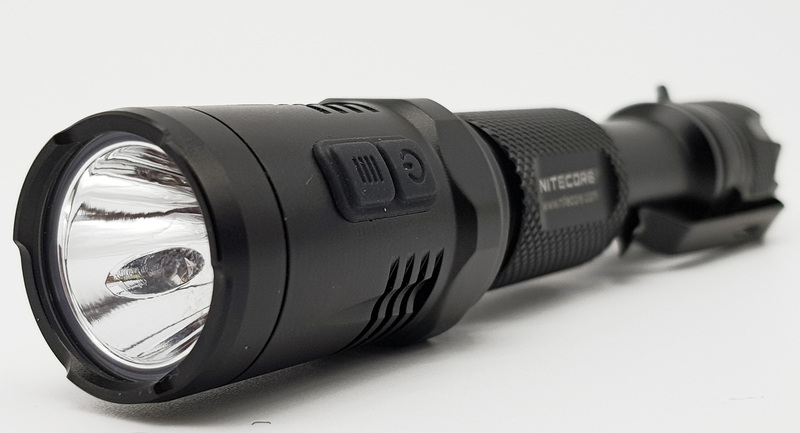 The Nitecore EA21 is composed of three parts: head, body and tail. 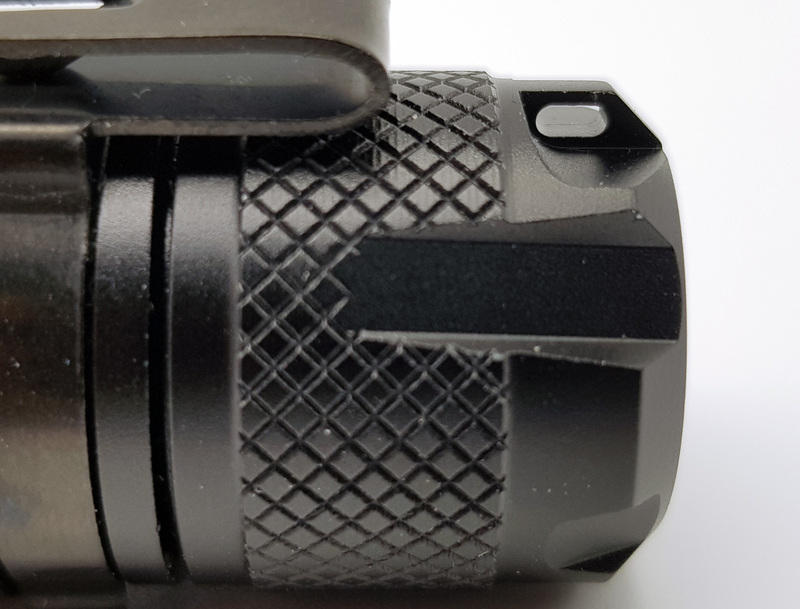 On the head of the Nitecore EA21 we notice a crenellated bezel and the SMO dish (smooth) with the CREE XP-G2 LED in the middle. Below this there is a red LED (rather weak) with direct access with one of the two buttons. This LED has various functions and can be switched on continuously or intermittently. 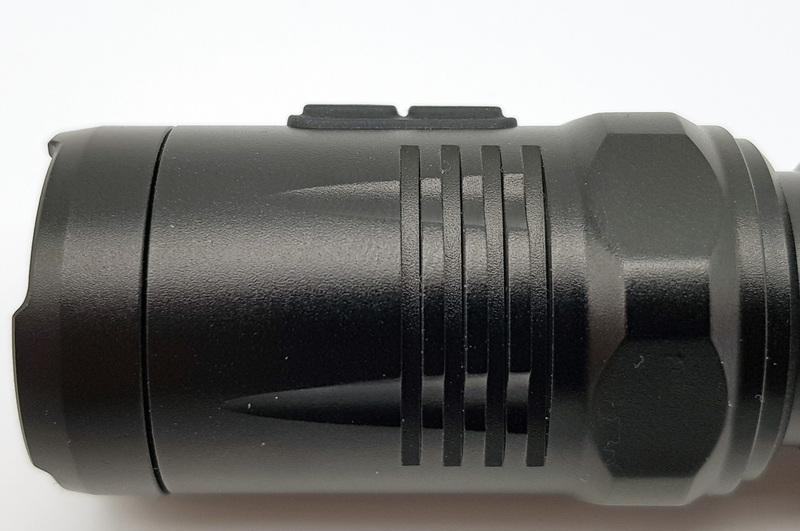 In addition to preserving the night vision, it is used to indicate the battery voltage and Standby mode. The glass has anti-reflective treatment. On the side above the head are the two electronic switches. With them we will manage the user interface. Being the two small sized buttons, they can create problems for those with large hands or wearing gloves. They are made of rubbery material that is well recognizable to the touch. The click is decisive and silent. On the rest of the head, we note the cooling fins and at the base a larger, hexagonal-shaped part to prevent rolling. 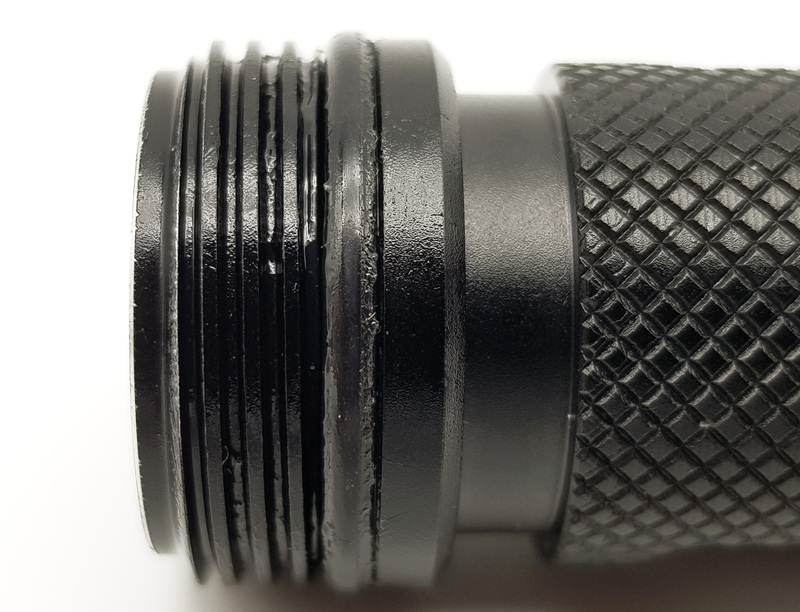 The central body of the Nitecore EA21 has a rhomboidal anti-slip knurling that facilitates the grip even in situations of water and dirt etc. From both sides we find well legible writings. 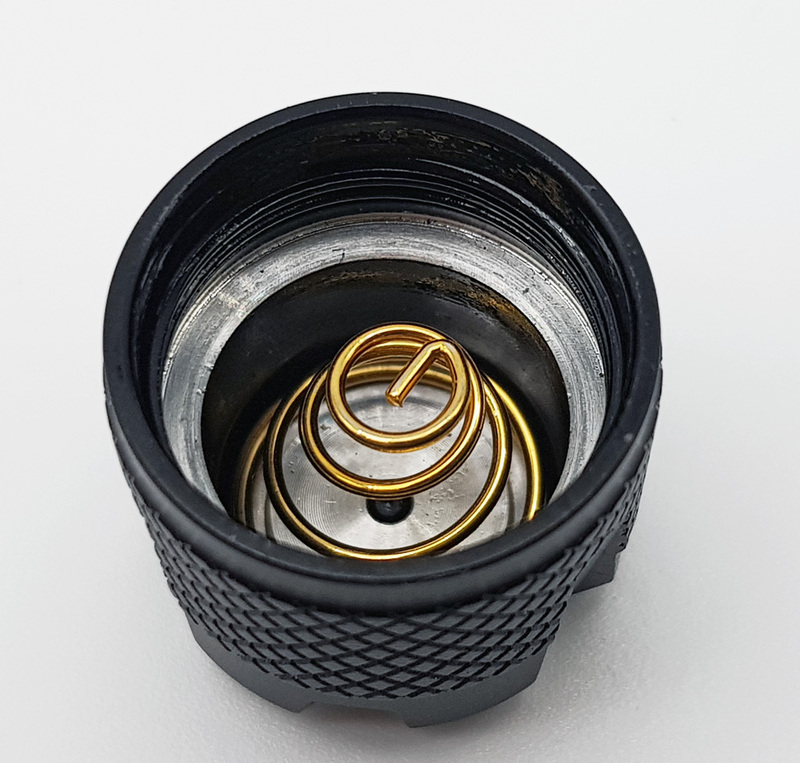 At the two poles we have a button plated with a positive and a negative-plated spring. 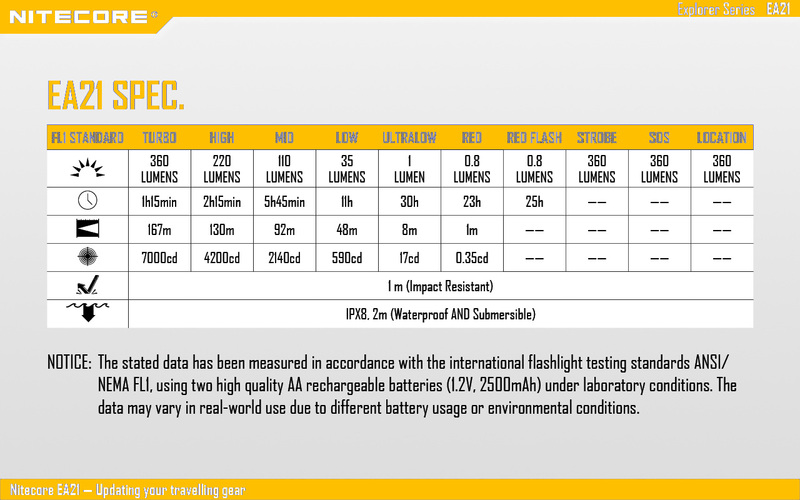 The Nitecore EA21 is protected against incorrect insertion of batteries (reverse polarity). The tailcap has a hole for inserting a lanyard. Flat tailcap design for increased tail-stand capability. 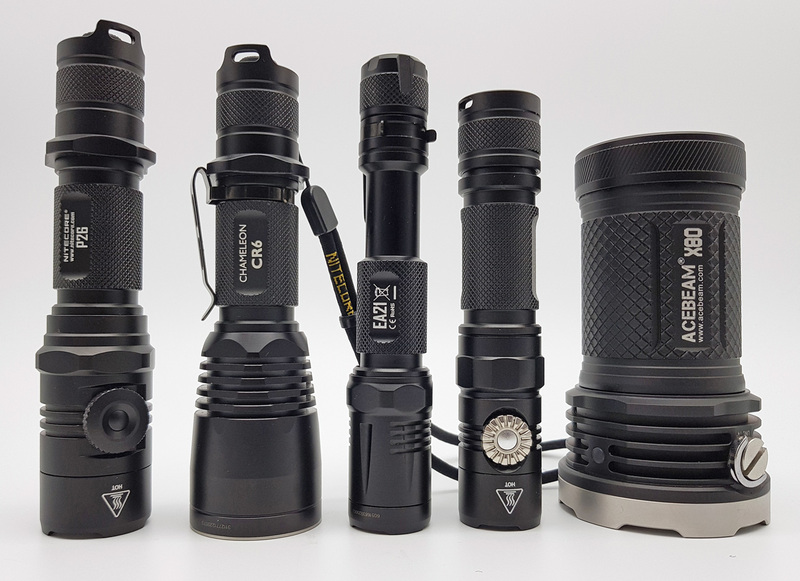 From left: Nitecore P26, Nitecore Chameleon CR6, Nitecore EA21, Nitecore EC22 e Acebeam X80. 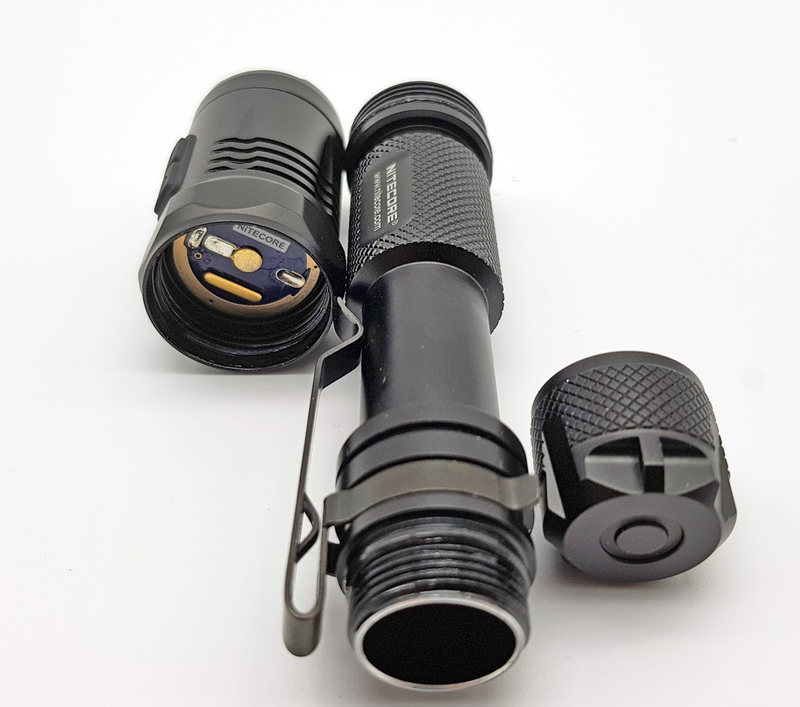 The Nitecore EA21 has two switches located above the torch head. One of switching ON/OFF and one for changing brightness levels. These two buttons have, as we will see, also other functions. 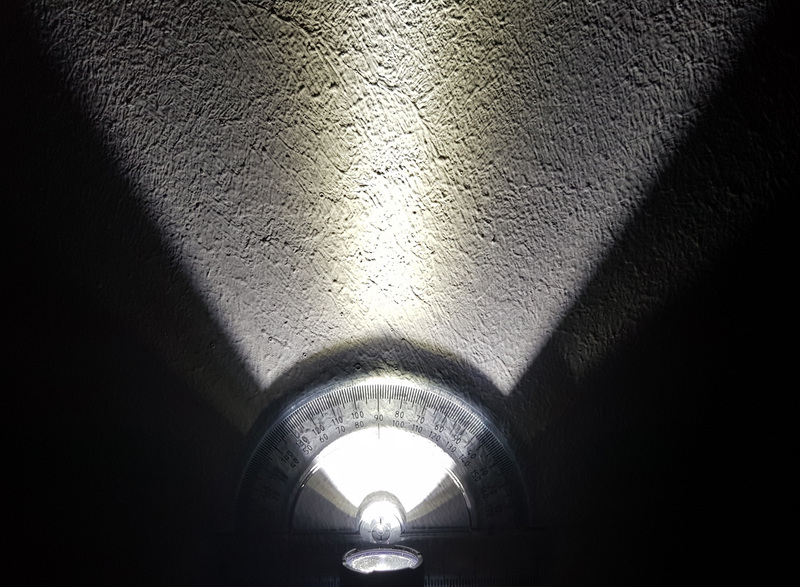 The EA21 has 5 brightness levels: Ultralow, Low, Medium, High and Turbo. It also has 3 special levels that are: Strobe, SOS and Beacon. It also features a red LED with various functions and with direct access via one of the two buttons. 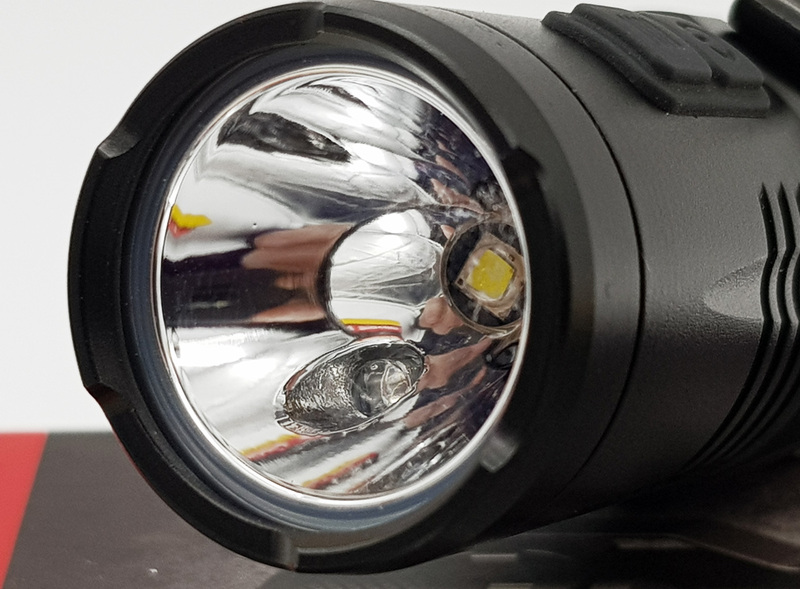 When the light is on, press and hold the OFF button for more than one second to turn off the light and activate the secondary Red LED that will flash every three seconds to help locate the flashlight in the dark. In this way the EA21 can operate up to 8 consecutive days. When the Red LED is off the EA21 can remain in stanby for up to 300 days. When the EA21 is on, press the MODE button repeatedly to cycle through the following brightness levels: ultra-low, low, medium, high and turbo. When a level is selected, it can be saved and reused when the torch is turned back on. 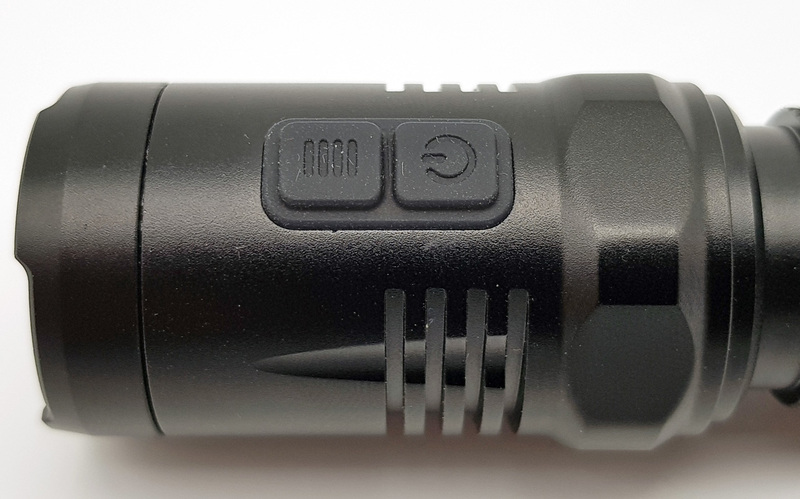 With the flashlight is off, press and hold the ON/OFF button for more than one second to access the ultra-low (1 lumen) level directly. 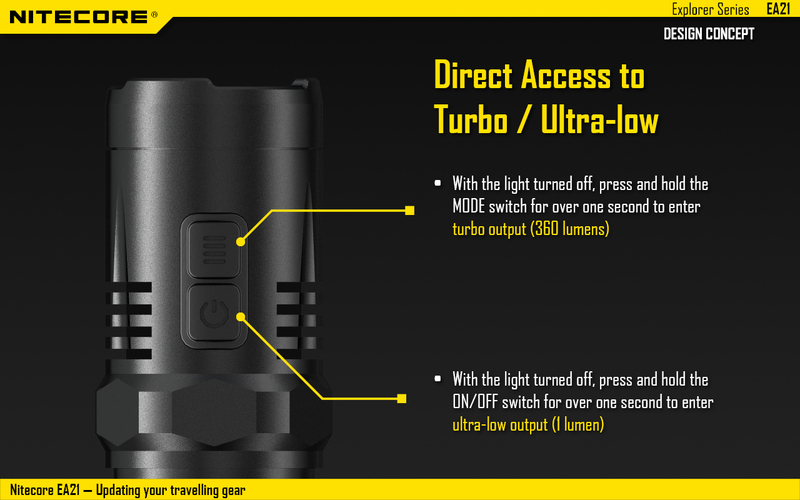 With the flashlight is off, press and hold the MODE button for more than one second to access the turbo level directly (360 lumens). Note: In turbo mode, the EA21 can automatically adjust brightness after 3 minutes to prevent overheating and extend battery life. With the flashlight is off, press the MODE button to turn on the Red light constantly. With the Red light on, press and hold the MODE button for more than one second to enter the signal light mode. 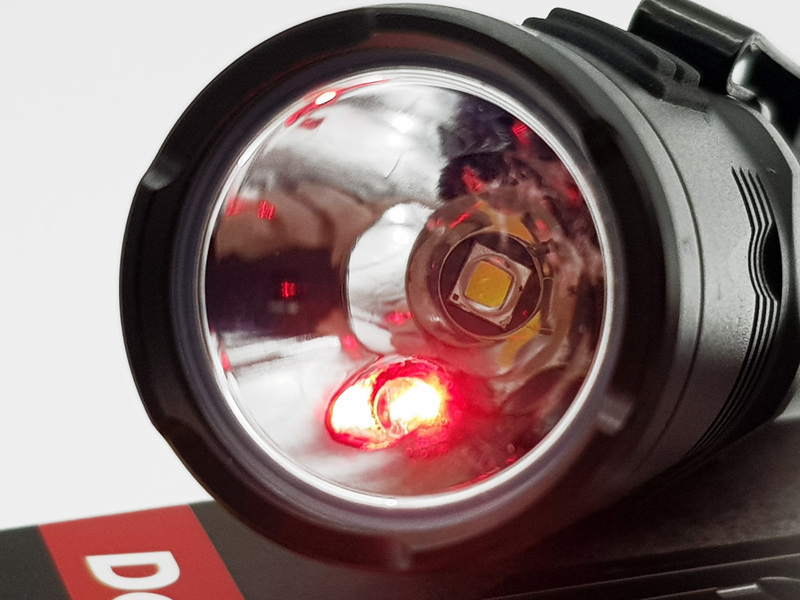 In this way the secondary LED Red can flash to be used as signal light. Press any button to exit this mode and turn off the flashlight. 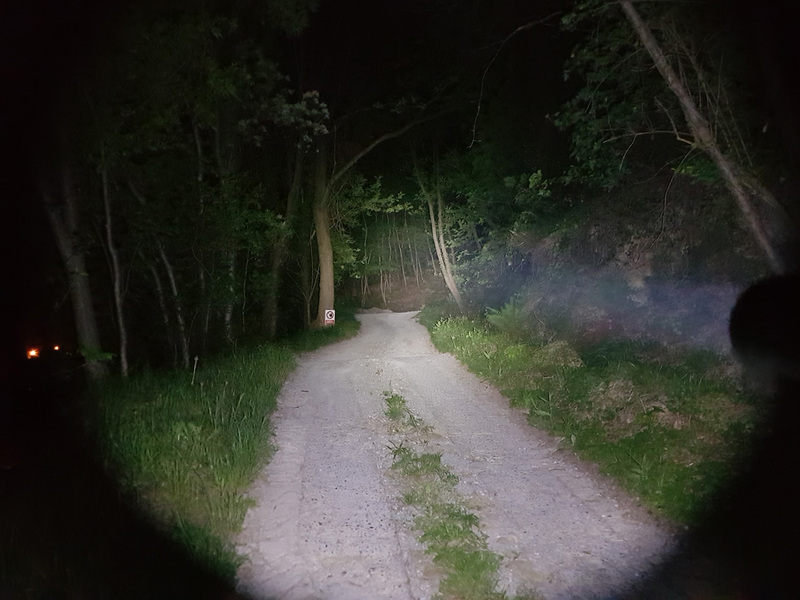 With the flashlight is on, press and hold the MODE button for more than one second to enter the strobe mode. When in the strobe mode, press and hold the MODE button for more than one second to cycle between Beacon, SOS and Strobe. To exit this mode simply press the MODE key, thus reactivating the last brightness level used, or press the ON/OFF key to switch off the torch. With the flashlight is off, press the MODE key twice in quick succession to enter the Strobe mode. Press any button to exit. With the flashlight is on, press and hold the ON/OFF button and the MODE button simultaneously for more than a second to turn off the light and lock it. In the lock mode the EA21 retains battery life for over 300 days; the two buttons on the EA21 are now inoperative to prevent accidental activation. To exit the lock and hold the ON/OFF key and the MODE key simultaneously for more than one second. 1. When you enter the lock mode, the secondary LED Red flashes to indicate the battery voltage. 2. 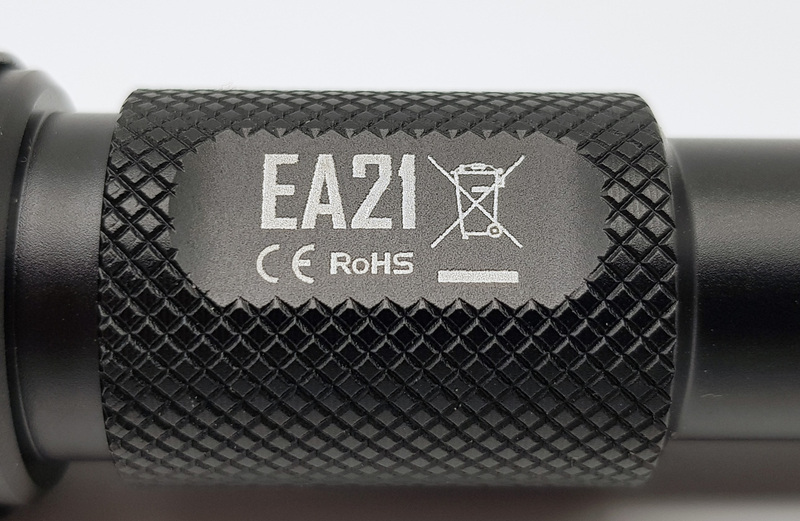 When the EA21 is not used for a long time, Nitecore recommends loosening the tailcap or removing the batteries to prevent accidental activation and to protect battery life. 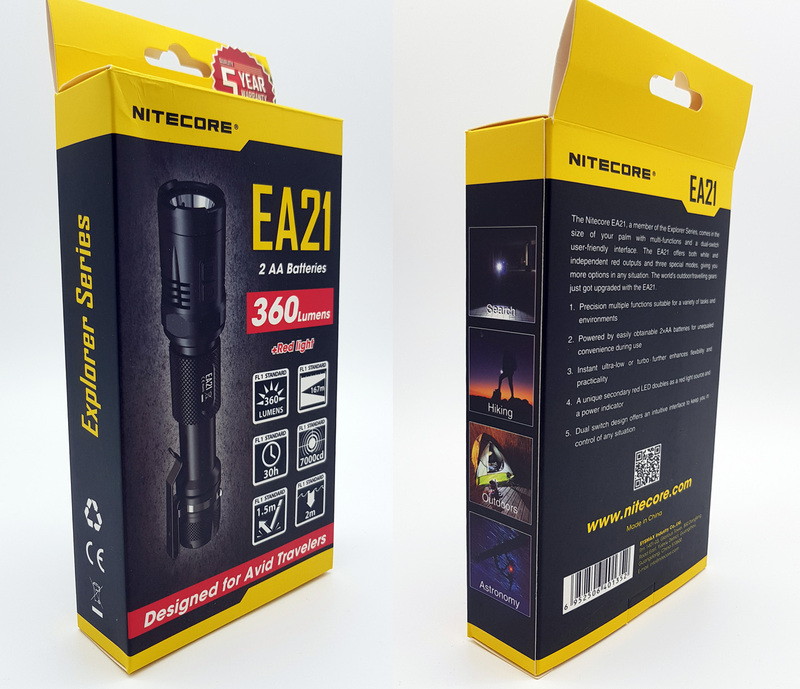 As we will see from the photos, the Nitecore EA21 is a torch that considering the head of only 25.4mm and 360 lumens of maximum output, excels in shooting while it has little spill (angle). 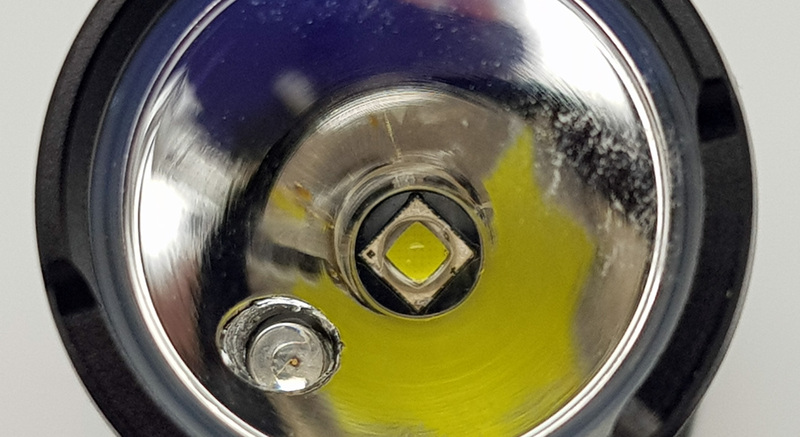 The beam is clean, only near the edges of the spill are the imperfections caused perhaps by the secondary LED and the crenellated bezel. Good also the cold color that according to my cell phone is about 6200K. 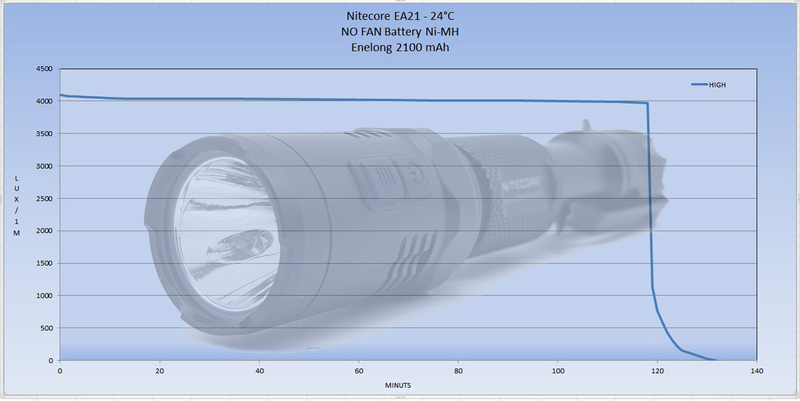 It would be interesting to see how it behaves with one of the filters available from Nitecore. I measured the distance of the start of the beam from the feet and is about 60cm. 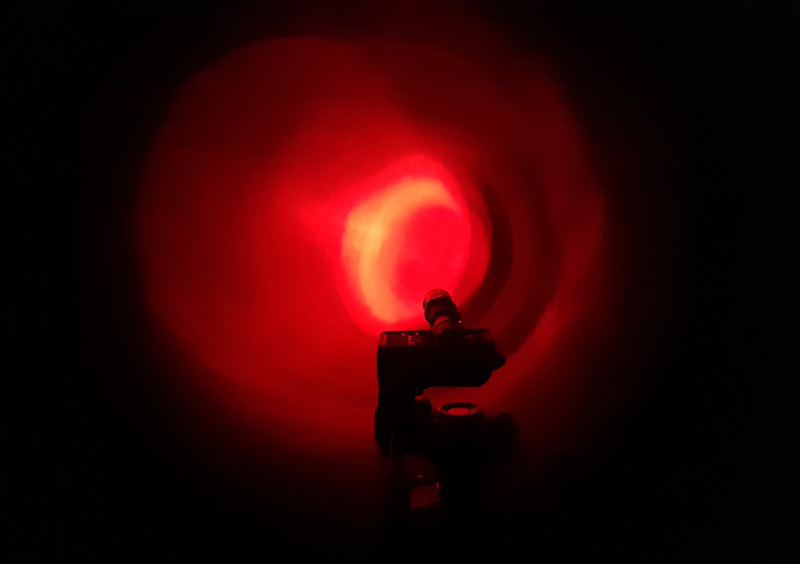 The Runtime was carried out in a closed environment without ventilation at a temperature of about 24 °C. 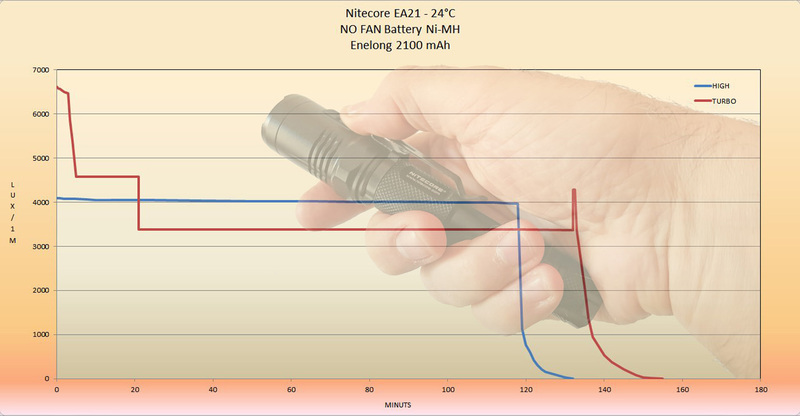 For the test I used the Enelong batteries, sent to me by Nitecore, completely charged. 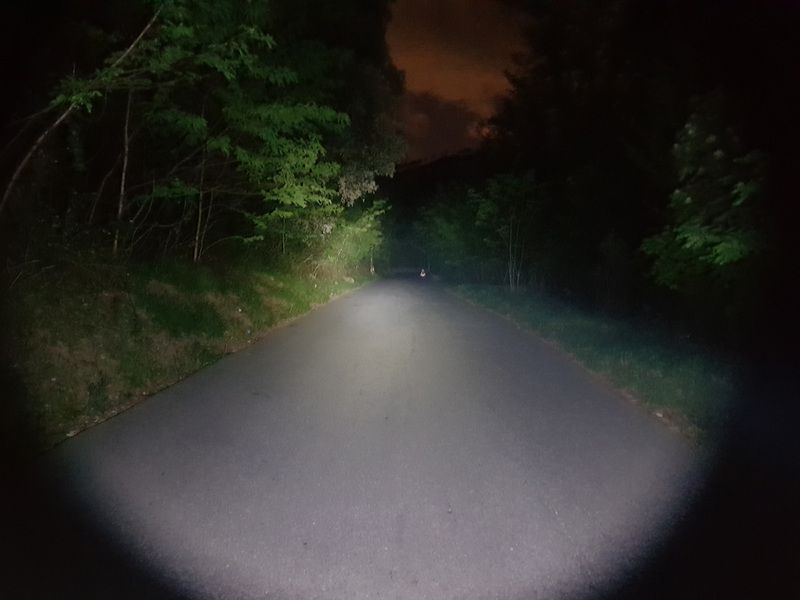 The first test was made by placing the Nitecore EA21 in TURBO (360 lumens). 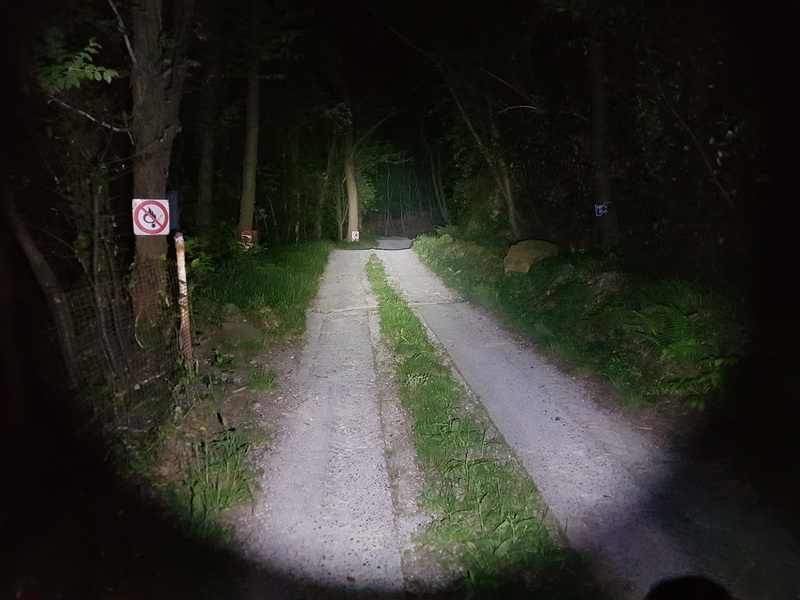 The second one with the torch set in HIGH (220 lumens). The Nitecore EA21 remains, despite some years back, still a valid EDC. 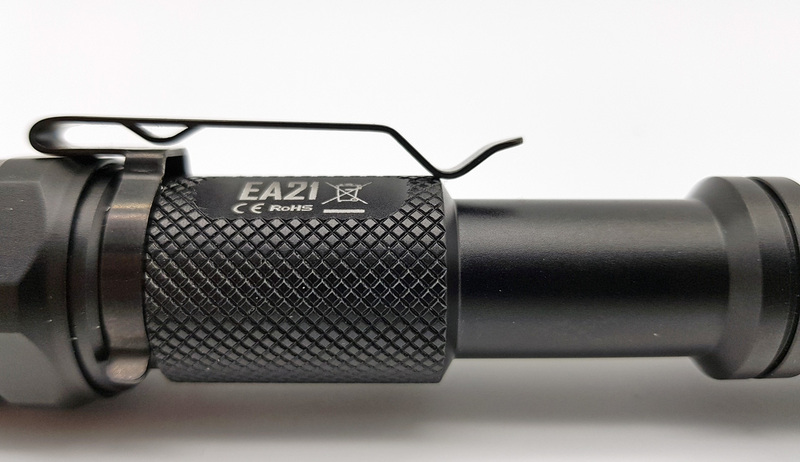 The EA21 has a good shot in addition to its small size and weight. 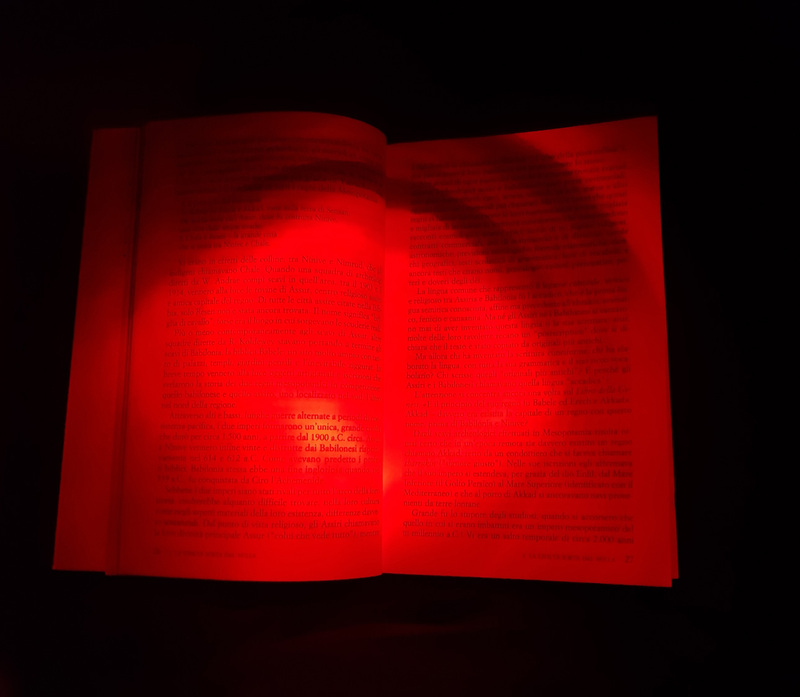 Too bad that the red LED is, in my opinion, not very useful to use in the dark to read or not to disturb due to the lack of power. 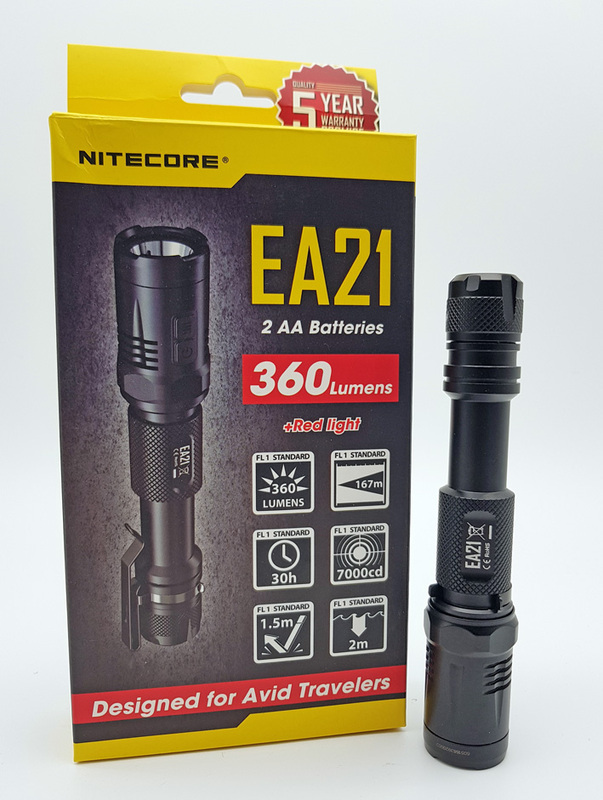 An additional value for the Nitecore EA21 is the type of battery that can be easily found (AA batteries) in both single use and rechargeable (at least in Italy). Wonder how hard is to change the Red LED. I rather have a warm LED than a Red. great review! Looks like a nice light. But that red beam is UGLY! 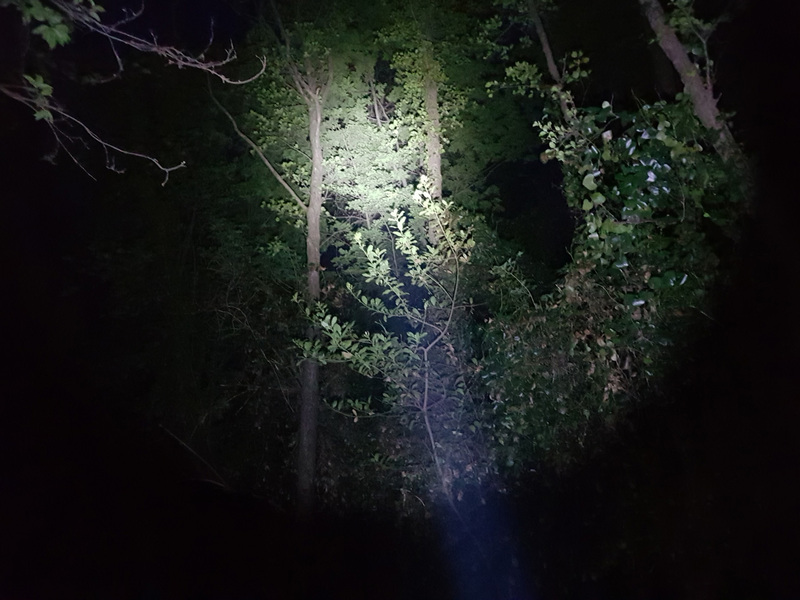 The best red beam I have ever seen is on my Acebeam UC15, and it is bright (on 2 10440). The UC15 is good. That of Nitecore Chameleon CR6 is fantastic. Hello. I just looked at the Chameleon CR6. It is very nice! I’m surprised I don’t own it, as I have over 100 lights! I like the UI on it. Pretty good deal on it at $42 also. do you own it? Any of the other Chameleons? Yes of that series I have the Chameleon CR6. If you are interested in red light, it is an excellent purchase to that amount. I also have over 120 torches and of course many Nitecore. Decent looking light. Output a little low?